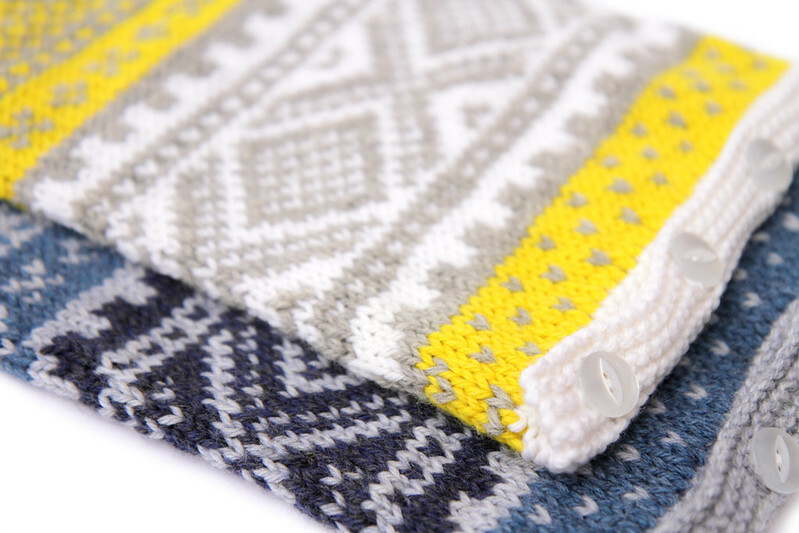 I love experimenting with new colour combinations and knitting a few Nordic Ski Sweater Hot Water Bottle Covers to stock the shop for Christmas gives me a perfect opportunity to update this traditional fair isle motif with some modern colours. I was planning to write a post announcing that these were available to buy in the shop but the yellow one sold before I had the chance! I am particularly pleased with the yellow version; I reversed the dark and light colours, which did make the chart kind of hard to follow but I think the main motif works really well. By contrast, the blue version shows that by sticking to a single colour, the motif can look bold and graphic. I have already cast on another one, this time I’m trying out bubblegum pink. I originally bought the pink and yellow to use together but I wasn’t brave enough this time. I think I will go for something really bold after this. 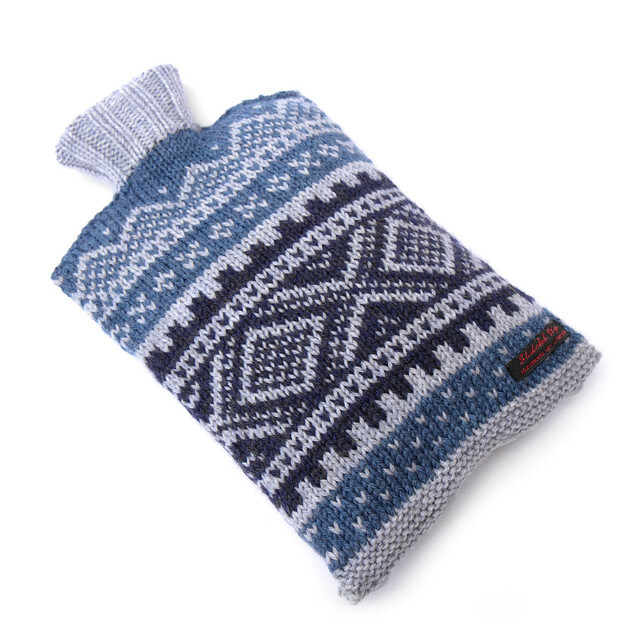 I have seen some wonderful original colour combinations in Ravelry users’ projects, often employing more than three colours, like Sarahpink’s hot water bottle cover in red, blue, teal and yellow, which is superbly worked. Two years ago I updated the pattern to include an additional chart, featuring another traditional Norwegian motif, Selburose. Most people think of it as a snowflake and it’s often associated with Christmas, but it was originally designed as a flower motif. It’s really nice to see projects appearing on Ravelry with the new design, like Schoe’s ‘cozy bottle’ and Knitinella’s hot water bottle cover. Some Ravellers have mixed the two charts to create their own combinations, and made interesting mods to use the pattern for other things, like Plinko’s ‘Tablet Ski Sweater’ and Woodthrush54’s Flute case cover. I like to think of patterns as a starting point, a springboard for creative knitting (with some of the boring maths taken care of), rather than a formula that should be followed exactly. 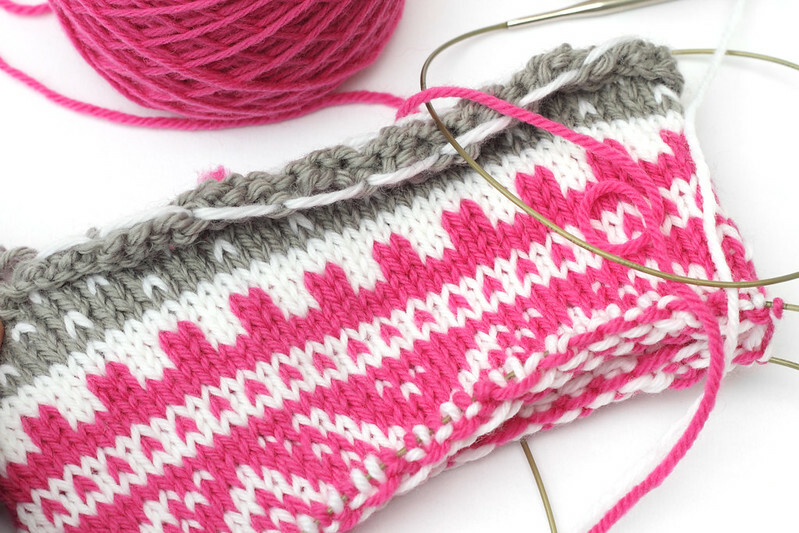 I’m really inspired by the ways that other knitters have interpreted the pattern and can’t wait to see the next batch of projects.